I'm curious to know what goals you are currently working towards? Maybe it's to finish school, get fit, progress in your career. What steps you are taking to make these goals happen? 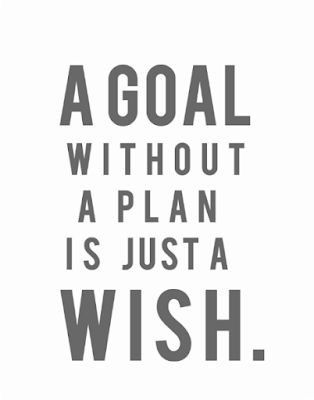 Any goal that you are not actively working towards is just a wish. These goals aren't going to just happen on their own! 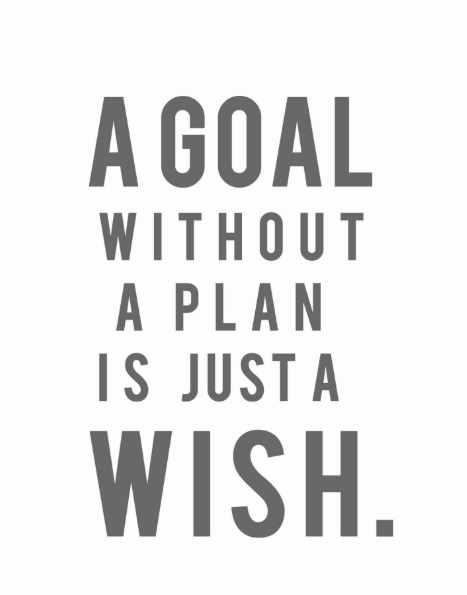 Whenever I have a goal I like to create a game plan. I write out what the goal is and what steps I need to take to reach it. Then under the steps I create a list going into detail. For example, this was our plan to purchase a house. Having a list like this reminds me of my goals and helps me to work towards them daily. The only way we are going to make our goals happen is if we continue to work on them. If not sit down and make one! I would love to hear your goals and get some inspiration.